Here is a great Amazon Deal on diapers. 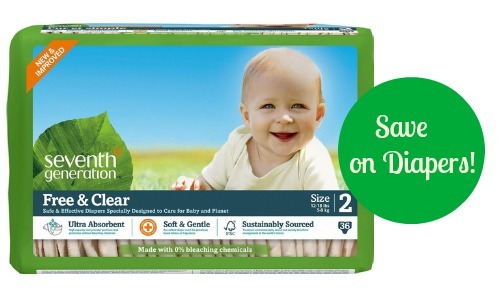 You can grab a box of Seventh Generation diapers on Amazon for as low as 14¢ per diaper! To get the deal, you need to be part of Amazon Prime and Amazon Family. You will get a 20% Subscribe & Save discount and can clip a coupon for 35% off. This prices can change at anytime so get yours while you can. Shipping is included with Subscribe & Save.